Blue Moon Beads brings us Natural Elegance, a collection of jewelry components featuring natural materials such as wood, stone and shell. 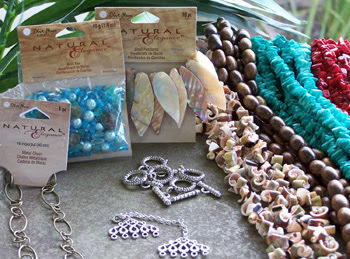 In this collection, you'll find an organic palette that includes rich browns, amber, jade, coral, turquoise and pearl. Bring in this coupon to your local Beverlys and make something fabulous for spring.... just for yourself, just because!